This summer, the Stirling Smith hosts an exhibition on the architect John Allan (1847-1922) who created some of Stirling’s most striking and unusual buildings. His designs used red brick, steel and lead combined with carved creamy stonework to create distinctive tenements, shops and dwellings. His use of symbols and mottoes make his buildings particularly memorable. Perhaps his best known building is Wolfcraig in Port Street/ Dumbarton Road. He lived in a house of his own design at 34 Albert Place. 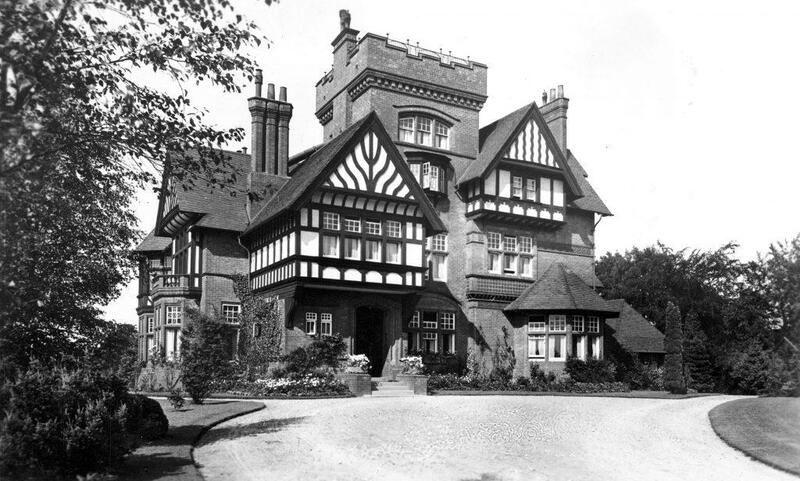 Numerous villas in Kings Park and the Batterflats mansion, built for a member of the Drummond family, 1893 -5, on Polmaise Road show the incredible range of his design skills. The tower and decorative cast detailing of the red Ruabon bricks below the black and white timbered upper stories of Batterflats make the building particularly distinctive. In 1929, the house was bequeathed to the Church of Scotland as a residential home. In 1954 it was sold to Stirling Council for use as an old folk’s home, accommodating 30 people. In the 1980s it was converted to private housing, and the six acre site is now covered with a housing development. There will be a talk in the Smith by Archivist Pam McNicol at 12 noon on Wednesday 10 May on Stirling’s Dean of Guild plans, for those who would like to know more about John Allan.